Eurozone base rates ended 2015 close to zero, making it cheaper than ever to finance a property in Spain. 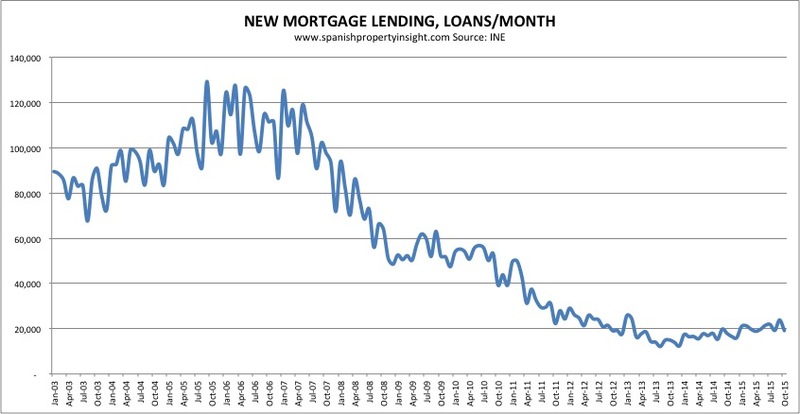 12-month Euribor – the rate used to calculate most mortgage repayments in Spain – ended 2015 at 0.059%, the lowest rate on record, and down 82% compared to the year before. On a monthly basis Euribor was down 25% compared to November. Euribor is now at an all-time low, and last year’s annualised fall of more than 80% is the biggest on record, all of which reduces the cost of borrowing to buy a home in Spain, at least in the short-term. A typical borrower with an annually resetting 20-year mortgage of €120,000 will see mortgage payments fall by €14.18 per month, adding up to a saving of €170 per year. 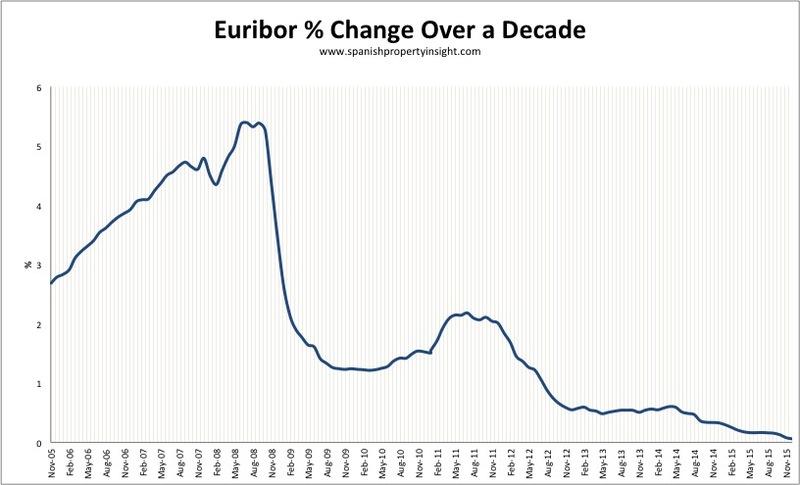 Euribor has been below 1% since June 2012, but Euro interest rates were not always so low. Back in July 2008 they peaked at 5.393%, and in the decades before Spain joined the Euro, interest rates above 10% were common. Eurozone interest rates are being driven down by the quantitative easing programme of the ECB, which is buying around €60 billion a month of public and private debt to try and stimulate the economy and inflation. The market does not expect Euribor to rise anytime soon, but one has to assume that one day it will, at which point borrowers who have leveraged up too much on cheap money today will find themselves under pressure. However, new mortgage lending is still low by historic standards (see chart below), so there is no evidence of excessive borrowing yet.